Celeriac being a moisture loving plant that needs fertile, moisture retentive soil I thought it might perform well hydroponically. 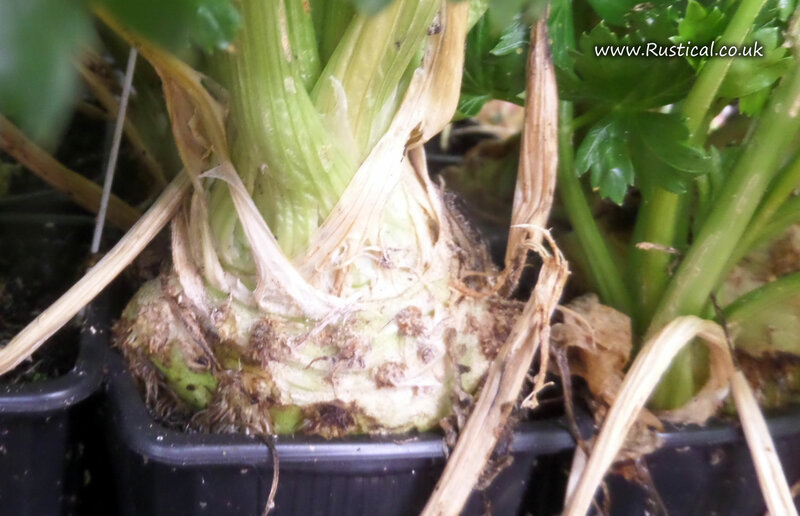 Our celeriac was grown from seed (rather than the recommended plugs) in 8cm pots. When roots were showing, the pots were then placed in a small NFT system. These have overwintered in a small greenhouse without heat and are doing well. Progress is very slow though. The Watercress trial has been interesting. 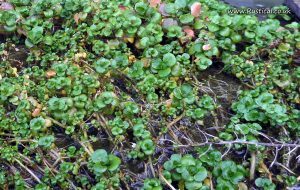 In the wild, watercress grows partially submerged in running water in moderately cool climates. We trialled it in both an aquaponic system and an ebb & flood tank situated near each other outdoors. The above photos speak for themselves (both of which were taken on the same day). 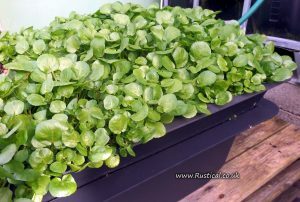 Whilst the aquaponic system best mimics a running stream I suspect the nutrient levels are too high and the watercress is struggling. By contrast, the ebb and flood (sometimes called an ebb and flow or flood and drain system) tank filled with nothing more than inert clay balls and rainwater provided a great crop.